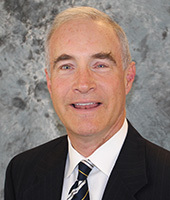 Jonathan W. Rogers, Jr. is the President and Chief Executive Officer of St. Regis Airport Properties, a real estate and investment company in El Paso. He is also involved as an owner or partner in various other financial and real estate investments. He is active in numerous civic, educational, and charitable causes. Mr. Rogers earned a Bachelor's of Art in Economics from Yale University. Mr. Rogers has been a director of WestStar since 1997.